The Episcopalian congregation of Saint John's Church has worshiped together on the same site in Waverly since 1843. At that time the area was the small village of Huntingdon, Maryland: a collection of about seventeen large estates, and the more modest homes of a new and emerging middle class. The village extended from Huntingdon Avenue (present day Remington) on the west to Harford Road on the east; from Huntingdon Avenue (25th Street) on the south to Boundary Avenue (42nd Street) on the north. In 1888, Baltimore City annexed the area from Baltimore County and the post office was renamed Waverly, after Sir Walter Scott's popular Waverly novels. In November 1843, the Episcopal Bishop of Maryland, William Rollinson Whittingham, sent Reverend W. A. Hewitt to Huntingdon. 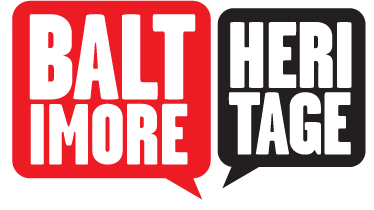 Local resident Thomas Hart requested the appointment because he wanted his grandchildren baptized but did not want to travel to the parish church, Saint Paul's, in Baltimore City. The bishop happily obliged since he was eager to establish new congregations in Maryland embodying the ideals of the Oxford Movement, which sought to reinstate older Christian traditions in the Anglican Church. The congregation at Saint John's Church held their first service the “barracks”: a powder magazine and post for federal troops located a short distance southwest of the present church building. 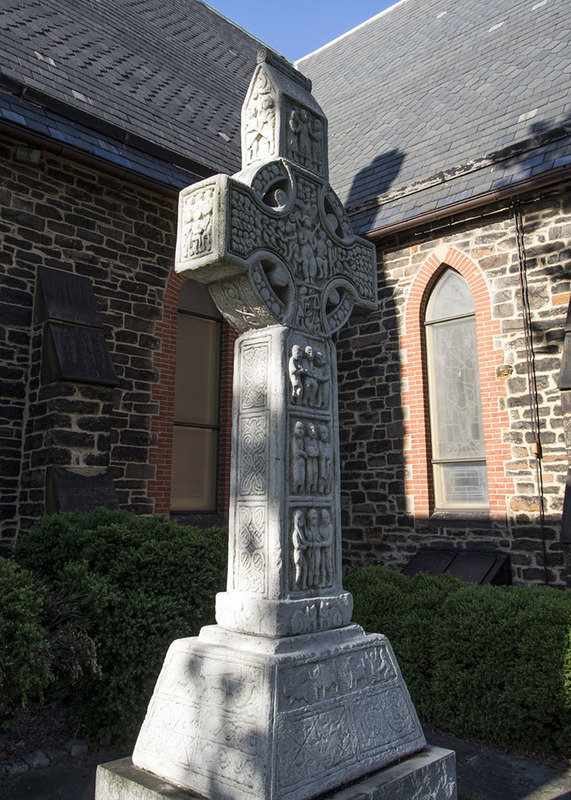 On July 10, 1844, Saint John's Church was legally incorporated as a diocesan mission church within the bounds of Saint Paul's parish and by 1845 became an independent congregation. The congregation laid the cornerstone for its first church in April 1846, and was consecrated by Bishop Whittingham on November 11, 1847. 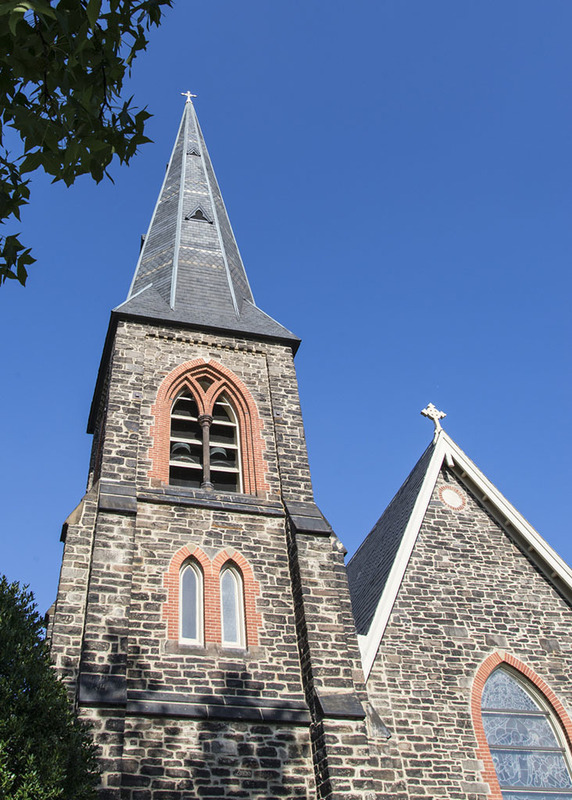 The church opened as a “free church”—rejecting the then-common practice among Anglican, Catholic, and Presbyterian churches of raising money by charging parishioners "pew rents". For the first two years the rector returned his stipend to the treasurer as his offering toward the building expenses. He also installed a furnace at his own expense, assuring the warm devotion and gratitude of his flock. However, on May 15, 1858, just eleven years after its consecration, the church caught fire and burned to the ground. Poorer but undaunted, the congregation worked to rebuild and Bishop Whittingham laid cornerstone of the present church on September 11, 1858. The first service in this building was held on May 22, 1859, and its consecration was on All Saints' Day in 1860. The congregation prospered and the church added a Parish House (1866) and a Rectory (1868) in a matching Gothic style. In 1885, the church built an orphanage for boys but the institution closed in 1912 and the building has been demolished. An 1850s cemetery still survives on the property. The design of the church was influenced to the principles of the Cambridge Camden Society (later known as the Ecclesiological Society) which promoted revival of the Gothic style in architecture. 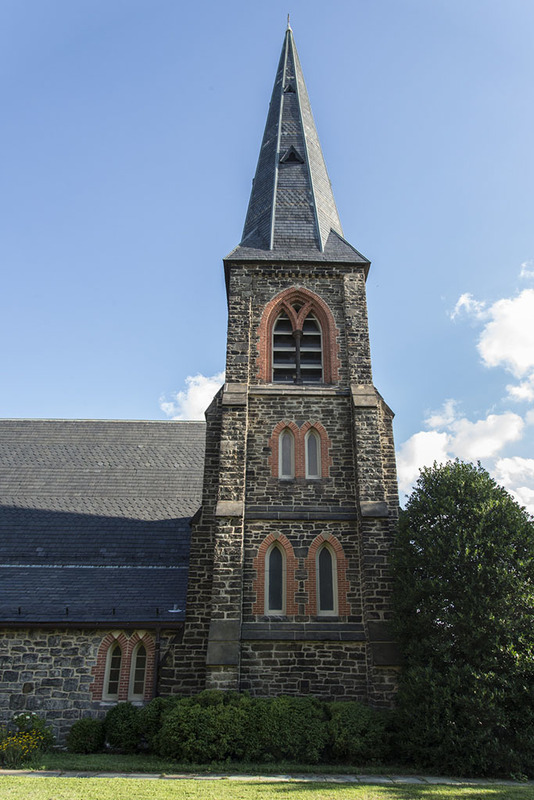 The church was enlarged in 1875 with the addition of transepts (creating the classic cruciform shape visible today), a baptistery (the present Lady Chapel), sacristy, enlarged sanctuary, and a bell tower and spire. The interior decoration was completed in 1895 in the same Gothic Revival style. After several modernizations of the decor, a whitewash, and years of neglect, the restoration of much of the original decoration was undertaken from 1983 to 1985 by the Reverend R. Douglas Pitt, the eleventh rector. This work was resumed in 1994 under the Reverend Jesse L. A. Parker, twelfth rector. All of the restoration work has been accomplished by the well-known decorative artist Janet Pope, of J. Pope Studios, Baltimore, which specializes in historic decorative restoration. 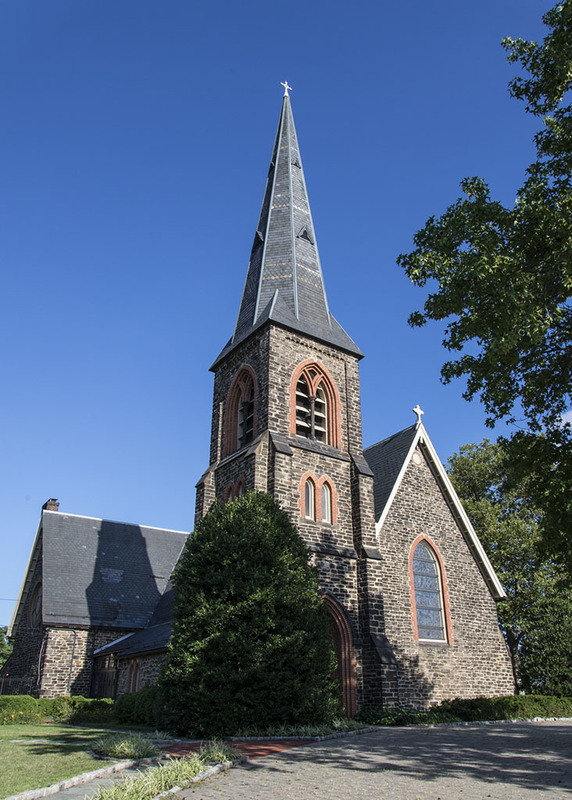 Saint John's Church, “Saint John's in the Village,” Explore Baltimore Heritage, accessed April 19, 2019, https://explore.baltimoreheritage.org/items/show/355.